What The Cancer Society Did…Shocking! I thought being told that I have Cancer was shocking enough, but my treatment from the Canadian Cancer Society was even more shocking. When the charity money pie is getting smaller, you have to come up with creative and innovative ideas to get a slice. The Canadian Cancer Society was approached with a National Fundraising idea. I called the national 800 number with the cool fundraising idea. The Canadian Cancer Society and they told me, that I would have to call my local office with any fundraising ideas. After reaching out to the local office with three calls and leaving my number for a call back, I got tired of waiting, yes, waiting for 2 weeks. It was only after I complained to the National office, that there was a call back with apology after apology. They listened to the fundraising idea and told me to contact the National Office because it was a national fundraising idea. The only time I’ve seen such back and forth action was at a tennis match or dealing with the Federal Government. Finally the National Office was available to hear the idea. The reception was warm and enthusiastic. So I asked them if we could partner up on this and what can they do to help. Enthusiastically, they said they would get back to me. Well, it’s been a month and NO REPLY. Not an email, not a call, not a letter, nothing. Taking the bull by the horns, I sent a complaint email to the National office and finally got a call with you guessed it, apology after apology. It’s now to late to run this fundraising idea. You might think this is a person whining about the fact his idea wasn’t embraced by the Canadian Cancer Society, but it’s rather, a complaint about The Canadian Cancer Society not doing everything they can do to help fund the fight against Cancer. They do a lot with what they have, but the door to door begging campaign and jail n bail are tired, old fundraising ideas from the 80’s. Today they need to refresh their thinking patterns. Grasp the new and different. The Cancer Societies idea of grasping the new, is to hit up major corporations like the Credit Card Companies, Major Banks. They even tap local businesses on a constant basis. It’s getting to the point where those businesses actually are “Not Available” when they see a charity heading towards their door. It’s a lot like when you see that door to door canvasser coming up to your house, all of a sudden, you’re not home. If you’re a big Corp and want to raise funds for the Canadian Cancer Society, you’ll be welcomed with open arms. I’ve learned that if you are a just a guy with Cancer and an idea that could raise thousands, you’ll be waiting a long time. You might as well wait for peace in the Middle East. In some cases it’s time you don’t have. When you have Cancer, you need action, you haven’t got time to listen to apologies. If anyone want’s a good fundraising idea for a charity, contact me and we’ll talk. As for the Canadian Cancer Society…. Hey Get Off My Lawn ! The Children’s Wish Foundation just did something I wish they hadn’t. They brought out a “Collector Card Series” or what they call the, “Wish Hero Series” featuring a sick child on each card. There are 6 cards in the series. These children are suffering through life threatening illness and have asked the Wish Foundation to grant them a special wish. 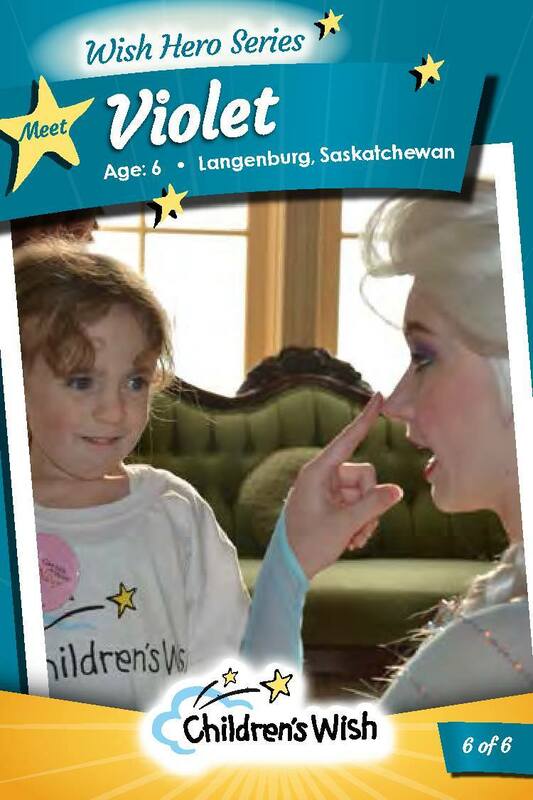 Then with the help of sponsors and private donations the wish is granted. When I worked with the Foundation, one of our goals was to make the child happy with the granted wish and never put the child in the public eye. The reason was that the child is and has been going through enough facing mortality. That seems to have changed, to flaunting the child in front of the public. One argument is, that these cards show where your donation is going. That begs the questions, do you really need a picture of a sick child to make you feel better? Will you take your collection to parties and trade with friends? I don’t know if you remember back in the 90’s when the Serial Killer Collector Card series caused a National outcry. Then there was the True Crime Series. Granted, those were pretty grotesque and is at the other end of the spectrum. If collecting pictures of sick kids floats your boat, then we should have a bigger series of cards, “The Syrian Refugee Collection”, collect them all 1 through 2,000,000. How about starting the collection off with the picture of that poor baby on the beach. The Cancer Society could bring out picture cards to show how cancer ravages the body. 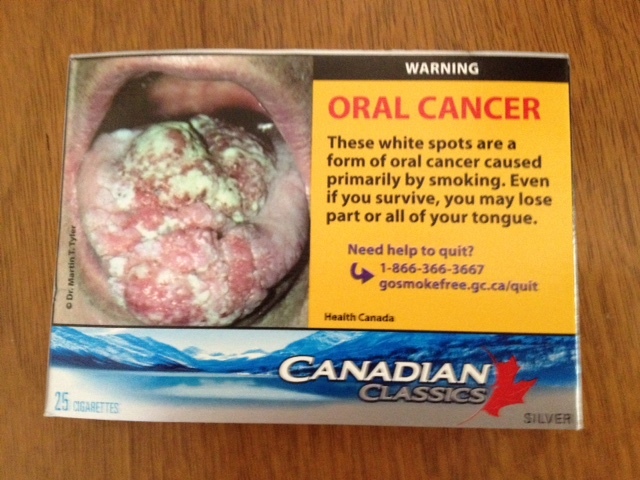 Oh wait, they do that on every cigarette package in Canada. Not as far as I know, is anyone cutting those pictures out and trading them. Oh here’s another idea, a card collection with pictures of all the men and women that signed up on Ashley Madison. Proceeds could go to Children’s Shelters. Please keep helping the kids. If anyone or a sponsor needs proof that you’re helping, send them a personal letter with the details, not a Card Collection. So in this case, CWF Hey, Get Off My Lawn.